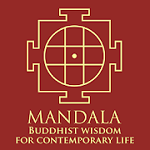 Charleston, West Virginia (USA) -- Over the telephone, Buddhist monk Bhante Yogavacara Rahula sounds a little like a stranger in a strange land. There's a faint accent that suggests he learned English later in life and, of course, there's his name. Bhante Rahula’s way of life at the Forest Monastery in Hampshire County has some similarities to the way he lived in the caves of Sri Lanka. He still lives very simply in a hut, but there are fewer poisonous snakes and dangerous animals stalking the woods of West Virginia. 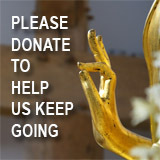 We study and read some of the contemporary readings," Bhante Rahula said. "How science is relating to dharma teachings and Buddhism. We could read other things, I suppose, but I do not. We don't want to fill our minds with anything not on the dharma." TODAY: 5:30 to 8 p.m.: The monk will narrate a slideshow on his years of trekking in the Himalayan mountains and afterward lead a meditation. 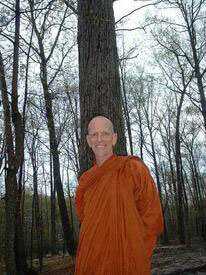 SATURDAY: From 8:30 to 11 a.m., he'll lead a session in basic sitting meditation, with a talk and questions. Bring cushions or chairs available. From 1 to 5 p.m., he will lead longer sitting meditation of 30 minutes, with standing and walking meditation and basic yoga instruction. SUNDAY: He will be featured guest at the regular Sunday morning service of the Unitarian Universalist fellowship.